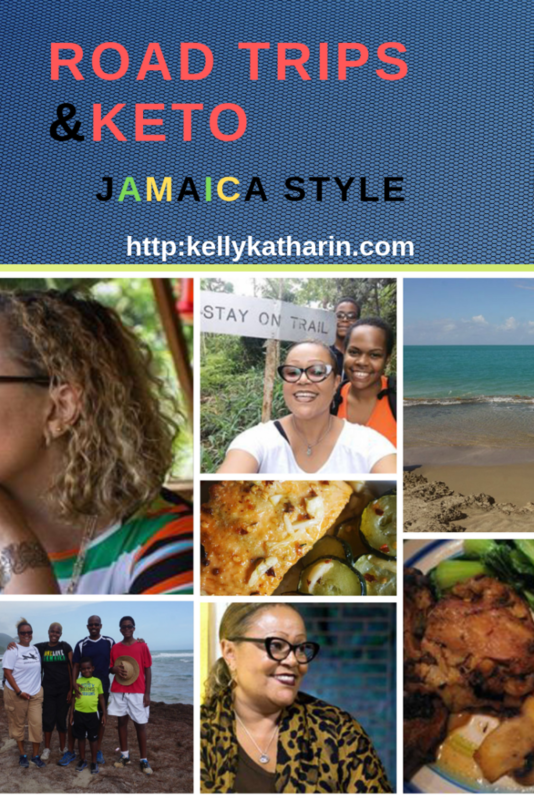 A fun Jamaica Vacation Itinerary…C’mon home! (Re)Visit Jamaica. So I read a comment on my Cousin’s wall on FaceBook. It was posted by a Jamaican woman now living in the USA, married to a foreigner and they have two young sons. She was waxing nostalgic for her homeland. She spoke of growing up in rural Jamaica and she expressed a desire for Jamaica of old and a desire to share her heritage with her sons. But she countered that desire with a very real fear of the Jamaica of now. She compared us to Syria in terms of violence (gasp!) and immediately I knew that I had to do this post. You see, as my cousin correctly stated, I live here and I make it my point of duty to enjoy my homeland as often as I can within the constraints of my budget. 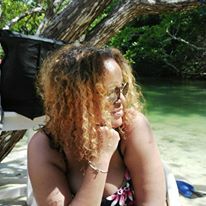 So this post is in essence, a travel guide, aimed at both the average Jamaican now living overseas, eager to recapture the innocence and joy of childhood in Jamaica, as well as the adventurous visitor to our island. My recommendations are based on my own experiences and are bound by my own very real constraints of budget, security consciousness, keeping kids interested and engaged and an aversion to garbage. Do NOT advertise the fact that you live overseas. Here’s where a local guide really helps. I’ll be available in a few years time 🙂 Until then, all the best! Unfortunately, once you are perceived as a foreigner, prices triple and unscrupulous scammers will take advantage. Don’t be naive. Would you as a tourist in California tour Compton after dark on your own? Right. Don’t be silly. Move as you would in any big city anywhere else in the word. We are the Caribbean. Not the Garden of Eden. My recommendations are geared towards middle-class people saving and investing for retirement and college funds for their kids. Enough said. This deserves its own heading. 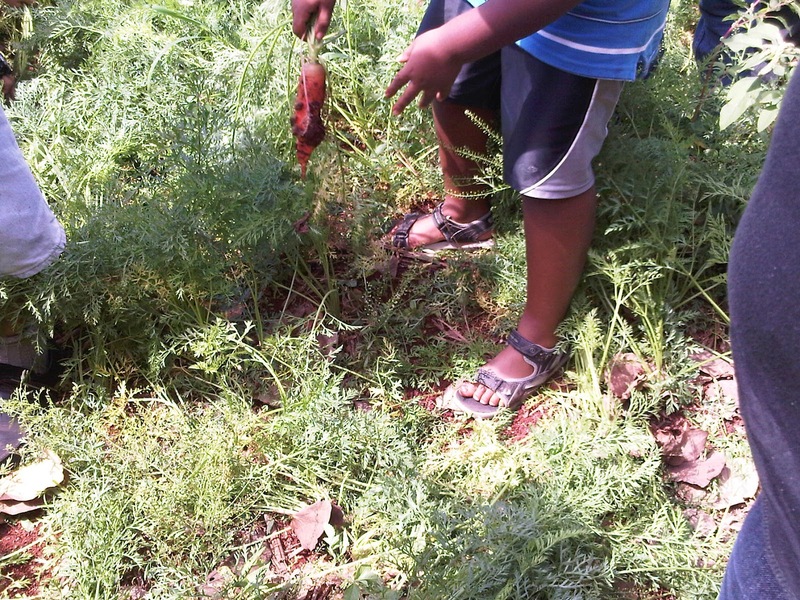 Jamaica has a garbage problem which intrudes noisily in the enjoyment of our island. I hate it. I wish it were otherwise. My recommendations are based on things that we’ve been able to enjoy in spite of the garbage. 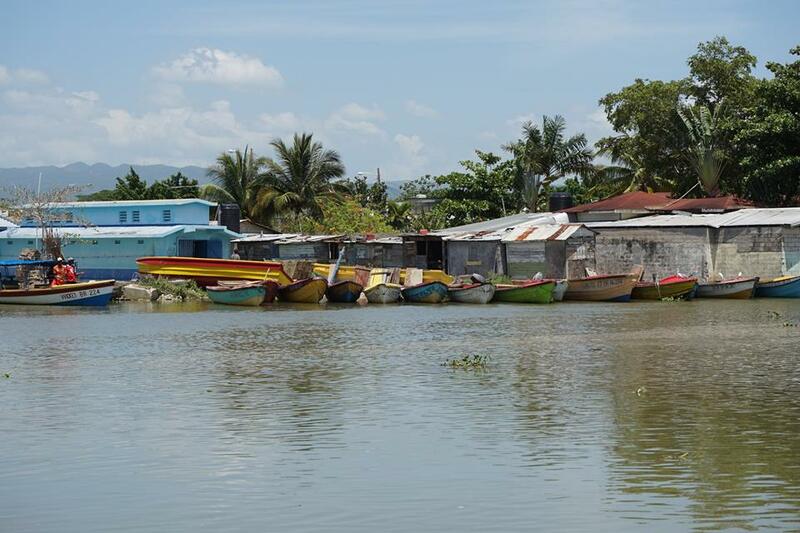 This southern parish marries rural Jamaica of yore with a little beach. It’s not the white sand of the Bahamas or Negril, and it’s not land-locked Mandeville. AirBnB is your friend in terms of finding suitable accommodation. I recommend Jakes Hotel or any villa with seaside access between Treasure Beach and Black River. In checking out accommodation ensure that WiFi is available. It’s not automatic in St. Elizabeth. YS Falls for beautiful gardens and waterfalls with zip lining. 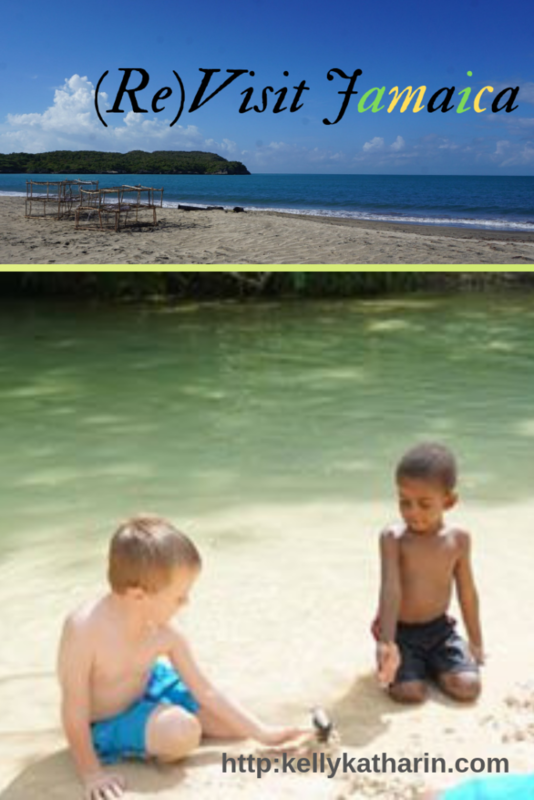 Spend 2 days in St. Elizabeth. Liguanea Club is central and budget friendly. Right in the middle of the commercial district of New Kingston, you’ll be safe within the enclosures of this hotel. They have a pool and tennis and squash courts. You are within walking distance of good jerk spots (Sweetwood Jerk), a beautiful green space where you can jog or people watch while licking on an ice cream cone (Emancipation Park) and patty shops (Juicy Beef and Tastee). Can it be any better? No need to rent a car on this leg. You can take taxis to the local attractions: The Bob Marley Museum Tour, Devon House for great food and souvenirs and the Little Theater where you can be entertained when the sun sets by the local pantomime or National Dance Theater company depending on the time of year you visit. Spend 2 days in Kingston. 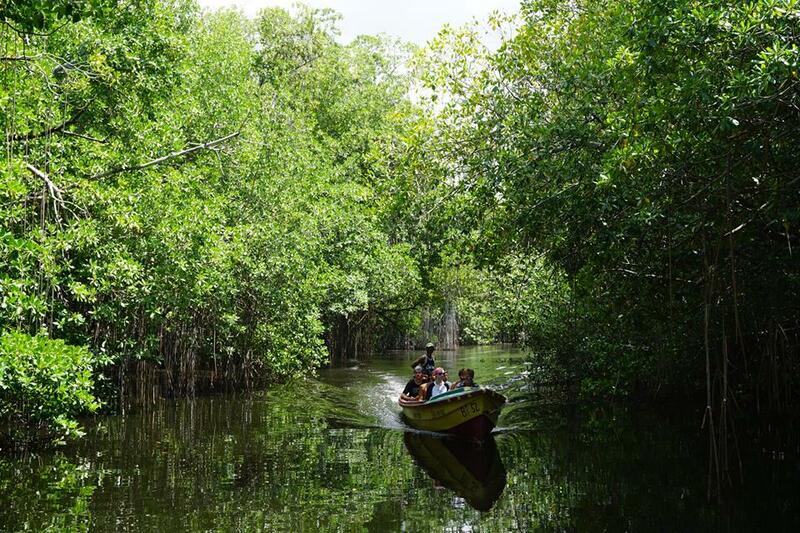 Jamaica Vacation Itinerary: catch your breath in beautiful Portland. Heal your soul in the beautiful eastern parish of Portland. Winifred Beach is a must. 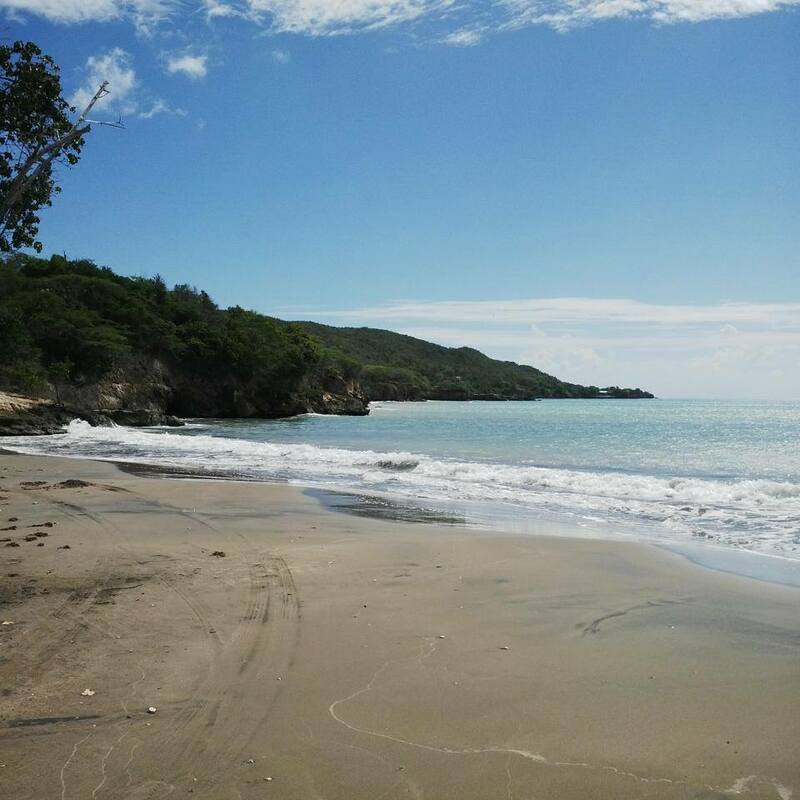 It is one of the few remaining beautiful public beaches on the island. Food and drink are reasonably priced right on the beach and there is an incomparable vibe right here. Be sure to spend some time at Frenchman’s Cove beach where a white sand river snakes into the sea. This white sand resort beach will have you thinking that you’re in paradise. And you’d be right. I recommend the villas at Goblin Hill. You will be directed by villa staff to local service providers who can ferry you around in Portland if you didn’t drive yourself from Kingston to Portland. The Knutsford Express bus company can transport you safely in air conditioned comfort to Port Antonio safely from New Kingston. A taxi can take you onwards to your villa. Can you tell how happy I am at Frenchman’s Cove? Spend 2 days in Portland. While it is heaven for us earth-weary adults, it’s a bit too slow for kids. 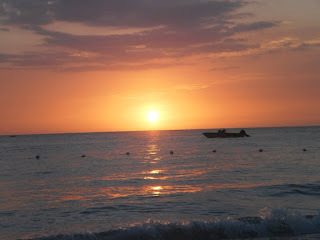 Jamaica Vacation Itinerary: Negril, Babee!!! 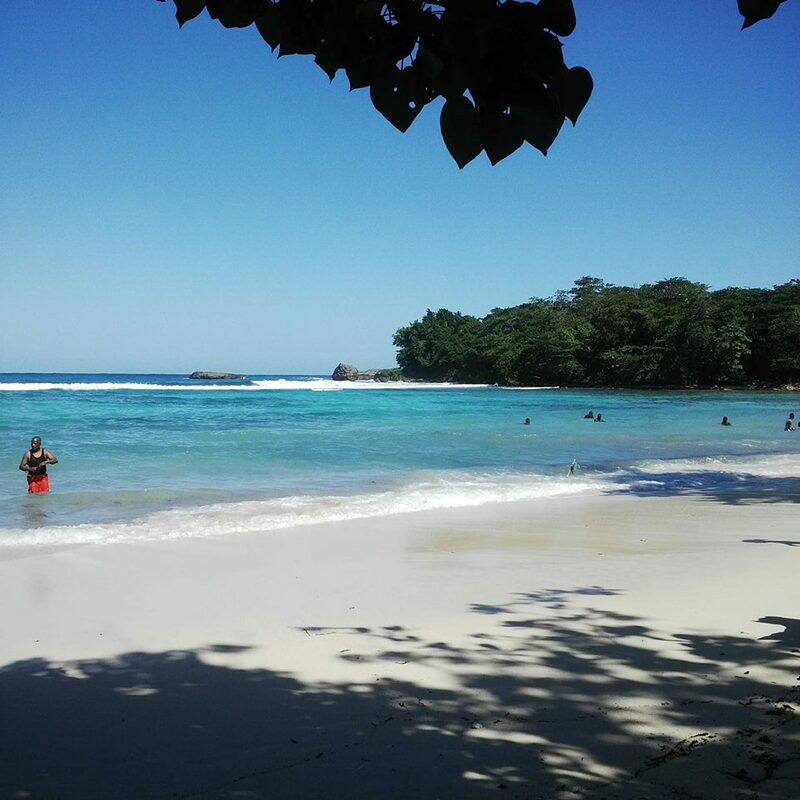 Allow a full day to enjoy the drive along the north coast highway all the way to the other end of the island and end up in Negril. You’ll drive past good old Ocho Rios and Montego Bay. Don’t get me wrong…I can recommend places to stay and things to do in either place, but not this trip. 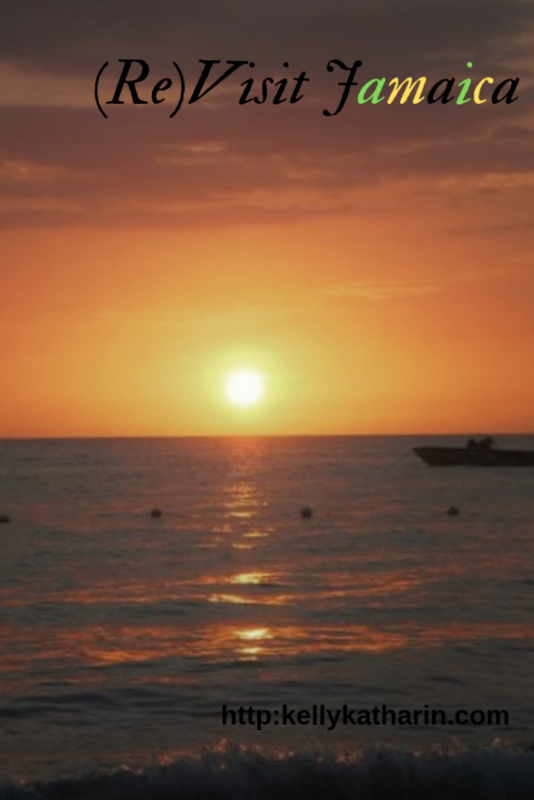 I recommend staying at the small boutique hotel of Negril Tree House Resort. Ask for the 1 bedroom suite right on the ocean front. You literally step right out of your room onto the 7 Mile white sand stretch of beach. This resort is not fancy but you’ll be comfortable. There’s Wifi and cable TV and a great Jamaican breakfast is included in the price of the room. 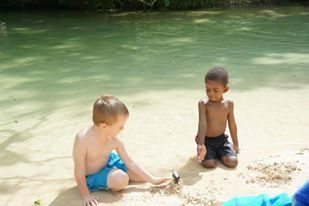 Kids will enjoy the pool and the shallow calm waters of Negril beach. You’ll feel as if you’re in the Bahamas but with the incomparable vibe of JamDown. Negril is not as quiet as Portland but not as touristy and kitschy as some parts of Montego Bay and Ocho Rios. 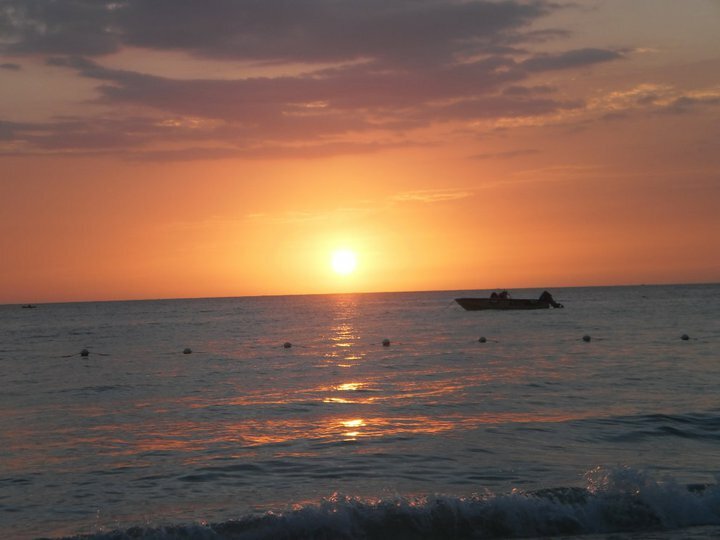 Negril truly is the other side of Paradise. 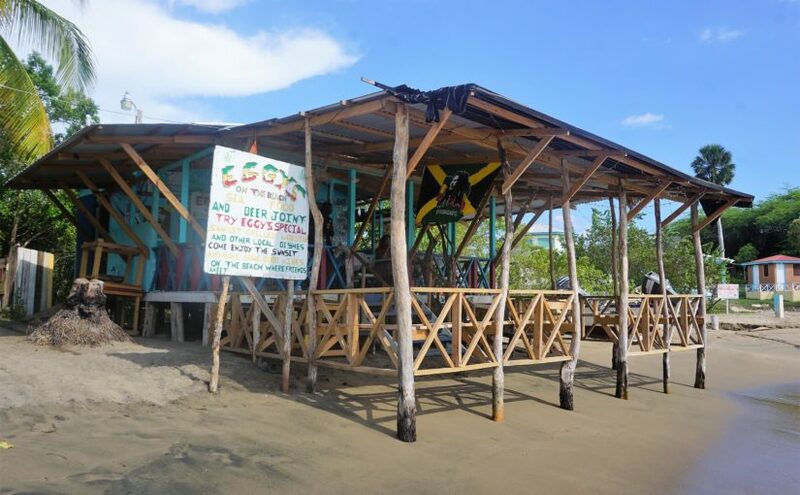 Cosmos, LTU Pub and Kenny Italian Cafe in Negril are great dining options. Pro-Tip: A small igloo filled with ice and your own Appleton and Red Stripe purchases at a local supermarket will keep you happy without breaking the bank all day long on the Negril beach. 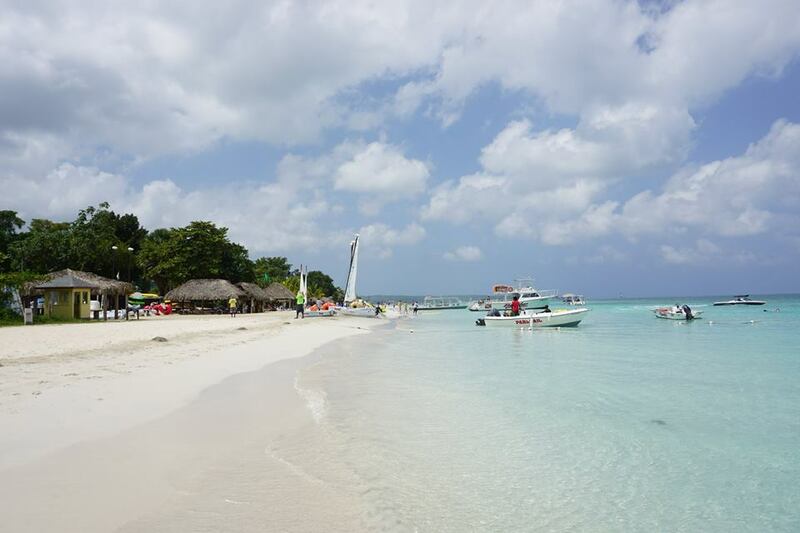 Spend 3 days in Negril. Want more itinerary ideas? Hit me up here! I’d be happy to help! 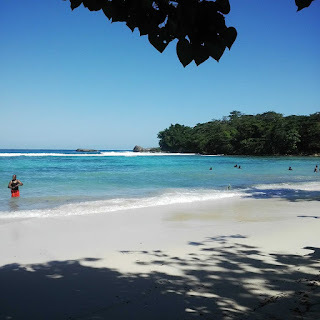 Posted on February 12, 2017 November 26, 2018 Categories My Beautiful JamaicaTags holiday, Jamaica, Kingston, Negril, Portland, St. Elizabeth, tour, tourist, vacation, villa.3 Comments on A fun Jamaica Vacation Itinerary…C’mon home! (Re)Visit Jamaica. We both needed it. Life gets stressful. So off to Parottee, St. Elizabeth we went. Evidence of recent rains was a welcome sight as we headed west along the south coast. Clarendon which was parched just a few weeks ago showed signs of new life in the now green bush and the barely there trickle in the river. We made our way through Porus and climbed the hill into cool, evergreen Mandeville. A quick stop for ice at the top of Spur Tree ensured that we would be in business when we arrived at our final destination. 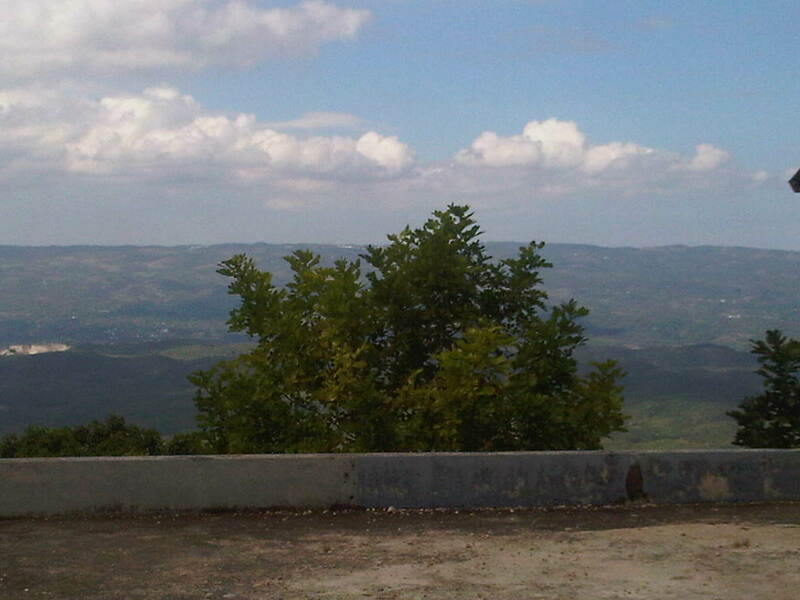 Driving through Jamaica is one of the pleasures we still enjoy. Three and a half hours after starting out (yes..we drive slowly) we were there: Parottee. Parottee is a small fishing village just beyond Black River. It has a West End, Negril vibe: chill, organic and very laid back. It’s laid out along a straight road running along the coast. The beach is not white sand though…it brownish, silty stuff that renders the sea itself kind of cloudy, and it does take some getting used to. The hotel was obviously planned and decorated by an artist…the little touches and accent pieces are evidence enough. But it has an abandoned feel to it. I swear that we were the only ones there. 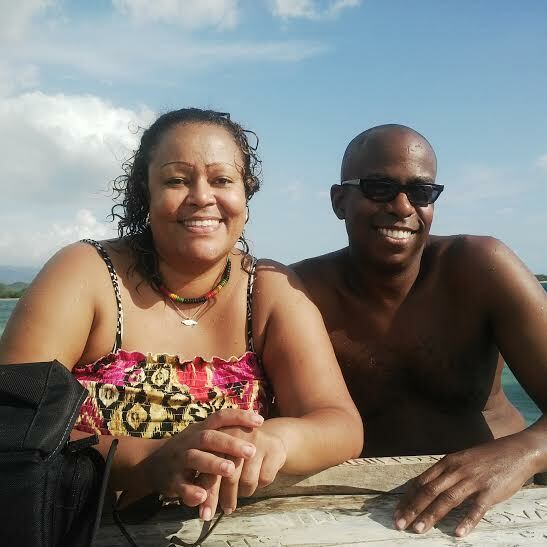 When a Jamaica Road Trip Involves a Boat Ride! H had arranged a little adventure for us. YASSS! A fishing boat, arranged through the hotel, pulled right up on the shore. A well dressed, pleasant Huggie helped us into the pretty little fishing boat, equipped with a 60HP engine (a single outboard engine…yikes!) and off we went. We were headed for the famous Floyd’s Pelican Bar…a rugged construction in the middle of the ocean where one can go to drink, eat and soak up a very special vibe. Huggie and his vessel. See the colour of the sand? We moved along parallel to the coast before turning right to get to our final destination which was a mile offshore. Captain Huggie at the controls! Abandoned hotel in Parotee being claimed by the sea. The Jacks were running, so that’s what was served….along with the freshest bammies ever. 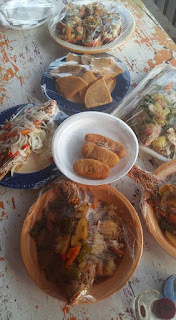 The rain came down and we all huddled under the thatched portions, warmed by the typical Jamaican libations on offer. H and Floyd. This is all Floyd’s vision. Someone’s thinking green in Parottee…. Parottee could easily be another Treasure Beach…there’s enough to go around. Of course massive investments would be needed in order to move from neglect to prosperity. And for investments to flow, a master developmental plan is needed: think music festivals, community tourism, literary festivals, sporting events, regattas, and so on. 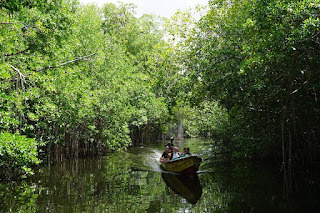 Treasure Beach is a short drive away and there’s enough to see in the parish of St. Elizabeth to keep visitors engaged and interested: Black River tours, Lovers Leap, day excursions to Negril, immersion in the life of the locals on the fishing beach. The plan would have to include training, beautifying the community and ensuring security. All very doable. All urgently needed. So we set out from Kingston at 8:00am. Every time I drive out of Kingston I am impressed by awed by just how beautiful our island is. Uneventful is how I would describe the drive over. The view of the St. Elizabeth plains when you are descending Spur Tree took on renewed significance, as I said to my children: “We are most definitely heading straight into the heart of the bread-basket of Jamaica!”. Me being me, I asked for directions 3 different times once we made that left turn at the foot of Spur Tree. I could just see my brother rolling his eyes in exasperation, since I was the so-called expedition leader. Whatever. I am “directionally challenged” and lose my sense of direction at the drop of a hat! Three hours later we arrived at Kingsley’s house. By this time we were joined with another of Kingsley’s friends from Kingston, Pat. He has a massive greenhouse in the front of his property. No…don’t look for an actual greenhouse. It’s really a metal frame overlaid with a combination of plastic and mesh, designed to allow for appropriate ventilation and light and for the exclusion of insects. In the event of a hurricane warning, it’s apparently quite simple to remove the coverings and lower the plants. The frame should be still be standing after the storm. Seedlings are planted in to pre-prepared bags of coir which are set up prior to planting, with drip irrigation lines appropriately placed. The fertilizer is mixed into tanks with the irrigation water and applied at pre-set intervals throughout the day. The net result is no water wastage and giving the plans exactly what they need in terms of food. Kingsley’s set-up is well equipped with an automatic timer and pH and electrolyte meter to ensure that the water is of the right pH to allow for effective delivery of the nutrients. Farmers in this neck of the woods rely on rainfall for irrigation. Kingsley has added gutters to his house and his greenhouse to ensure that not one drop goes to waste. The water is stored in a combination of black plastic tanks and a pond that he excavated and lined. The kids (and adults too!) had a great time harvesting the most beautiful tomatoes you’ve ever seen from Kingsley’s greenhouse. The sweetest cherry tomatoes in the world! Some crops are also grown under a less strict regime: tunnel houses. The sides and front and back are open in this method. But drip irrigation/fertigation and covering on top, still afford some measure of control. Kingsley still plants in the open field too! Little Master pulling carrots from the field. Miss World with her just pulled carrots! We ate pumpkin bread and drank carrot juice made by Kingsley himself! That is another blog post. Apart from being totally impressed with Kingsley’s efforts and his fantastic results, I left feeling that Kingsley represents all that is good about Jamaica and Jamaicans. He has carefully planned and invested. He has done his sums and the result is a thriving business utilizing the best of Jamaica: soil, climate and people, producing in a sustainable manner, produce that is wholesome. Kingsley is one of the hardest working people I know and his sons see this and emulate him. All is not lost in Jamaica Land we Love. What a great day! 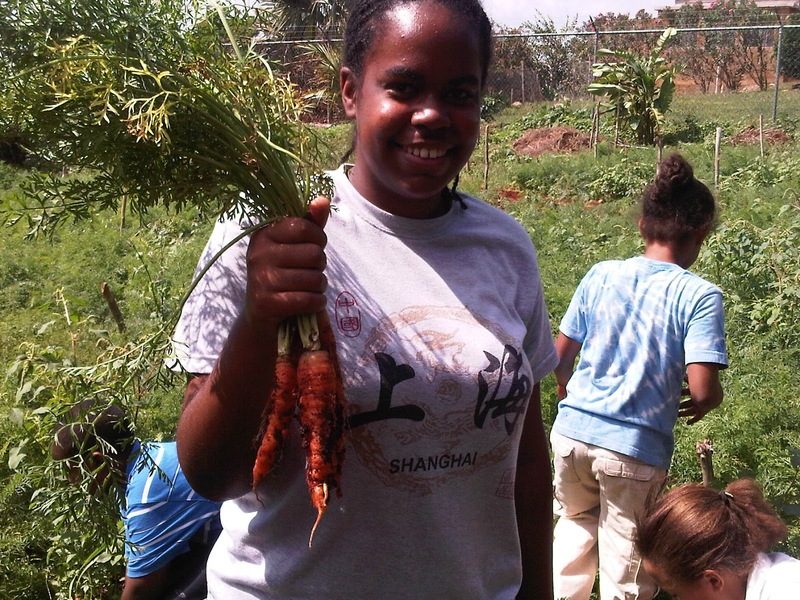 Posted on February 27, 2012 September 5, 2018 Categories Our StoriesTags agriculture, carrots, farmer, farming, field, greenhouse, irrigation, Jamaica, Spur Tree, St. Elizabeth, tomato1 Comment on …about Good Jamaicans!